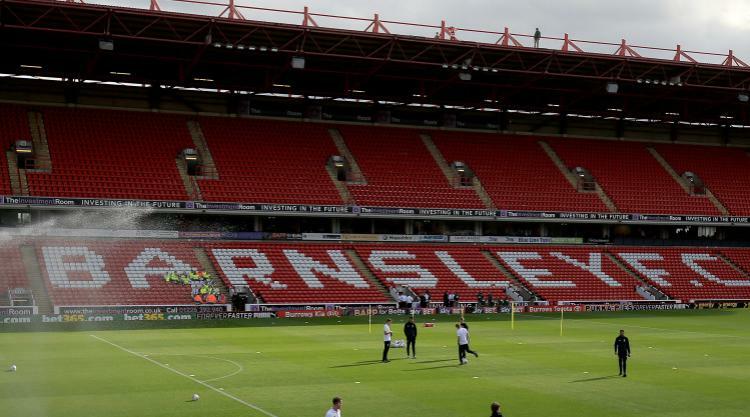 Barnsley have been taken over by a consortium led by Chinese investor Chien Lee and American businesspeople Paul Conway and Grace Hung, the Sky Bet Championship club have announced. The takeover has been ratified by the English Football League and the consortium have assumed control from long-time owner Patrick Cryne, who in September revealed he is suffering from terminal cancer. Baseball pioneer Billy Beane will also invest into the South Yorkshire club alongside Neerav Parekh. Beane used statistical analysis to identify undervalued talent during his time as Oakland Athletics' general manager and turned their fortunes around, which became the inspiration for 2011 film 'Moneyball' starring Brad Pitt in the lead role. A club statement on the official website read: "The Cryne family have been in discussions regarding a potential takeover of Barnsley Football Club for the last few months with an investor consortium led by Chien Lee of NewCity Capital and Pacific Media Group, which is led by Paul Conway and Grace Hung. "The club have gained English Football League approval for the change in majority shareholder and our new shareholders have now taken up their positions on the board of Barnsley Football Club. "We are delighted to further announce that Mr. Lee, Mr. Conway and Ms. Hung joined the Reds in the directors' box at Griffin Park on Saturday, showing their support to Paul Heckingbottom and his players, along with all staff and fans connected to Barnsley Football Club. "The cub would also like to welcome Neerav Parekh and Billy Beane, who will also be investing in Barnsley Football Club with Mr. Lee and Pacific Media Group." Lee bought 80 per cent of Ligue 1 club Nice in 2016, where he sits on the board alongside Conway, who is also a director at the Riviera club. Lee and Conway will become co-chairman at Oakwell and hope to have a similar effect as they did at Nice, who qualified for the Champions League for the first time in their history this season. Conway said: " Similar to our investment in OGC Nice, we expect to further enhance the academy, playing squad, commercial operations and fan experience of Barnsley Football Club. Barnsley has some of the most passionate fans in England and we look forward to meeting many of its supporters in the upcoming weeks." The good news is timely for the Reds, who are 20th in the Championship, and lost five of their last seven games. The post Barnsley taken over by consortium led by Chinese investor appeared first on News Wire Now. Who has the day-night advantage between England and Australia in Adelaide?